I’m having one of those days. Those days hit me like a sock in the face, sending me spinning and tumbling like a leaf in storm before I settle exhausted at the bottom of a pit. I’ve had days like these since I was a teenager, dipping in and out of brief, or sometimes extended periods of feeling very, very down. From what I know, it’s pretty common amongst action sports athletes and enthusiasts, with many using the all-consuming nature of these sports to distract them, and it’s also why many cyclists enjoy the release of zipping through the countryside on their bikes. When I was younger, not only was I less aware of what was going on, I was also a bit of a goth, so stewing in a heap of doom was almost a rite of passage. These days, I actively make an event to stave off feelings of (often quite extreme) negativity, and If I find myself slipping, I do my upmost to halt the slide down the slippery slope. The number one best thing in the world to life my mood is cycling. 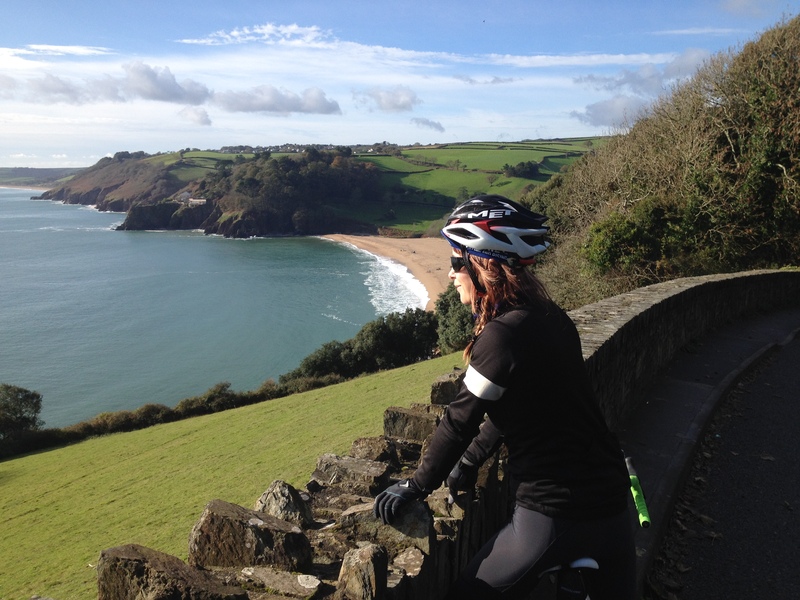 I never, ever regret riding my bike, even if I’m not sure I want to do it when I’m setting off, but cycling has been pretty challenging this winter – most of Devon is flooded and it never stops raining. The other thing I like to do is to take a moment to think about all the great stuff in my life, and all the cool things I have planned for the year. Making an effort to appreciate the good is a winning and well-known exercise in adjusting your mood. Depression isn’t linked to a lack of gratitude about your life and your loved ones, (I never doubt that I’m a very fortunate person) but the act of listing the good tops up your brain with positive thoughts, helping to redress the balance. So here’s what amazing, wonderful, brilliant stuff I have coming up this year. First up, Fixed Days in Berlin – a weekend of fixed gear shenanigans in one of the coolest cities in the world. AND I’m hoping to meet lots of the fixed gear ladies I’ve been chatting to on the ‘net. Later in March, I’m doing my level 2 British Cycling coaching training, which is superb as a closed road circuit and outdoor velodrome is due to open in Torbay later this year, and I plan on running some women’s sessions. In May, myself and Dave Noakes are off to Japan, for three weeks cycle touring. I’ve wanted to visit Japan for so many years, and to do so with my fiancé and my bike… well, how wonderful is that. We’ve been learning Japanese, planning a route taking in mountains, coast and cities and countryside and testing out lots of kit in advance of departure. I’m so excited! June brings the first ever Eroica Britannia, and it’s taking place in the beautiful Peak District where I grew up. I’ll be part of the Coven Magazine team, and we’re going to run a competition to win a place and join us. I’m really looking forward to this event; I’ve heard that you receive a Bakewell Pudding when you cross the finish line, and the size of your pudding depends which length ride you completed! July, well that’s the big one; I’m getting married. I’ve put in an official request for sunshine, so if the weather could just play ball whilst we say our vows, that would be lovely! And if the cats could stop nesting in my wedding dress, I’d appreciate it – I had to hide it from Dave, but the pesky felines found it and covered it in fur. Bah! I can’t wait to see all my family and friends, drink lots of ales, and kiss my husband. 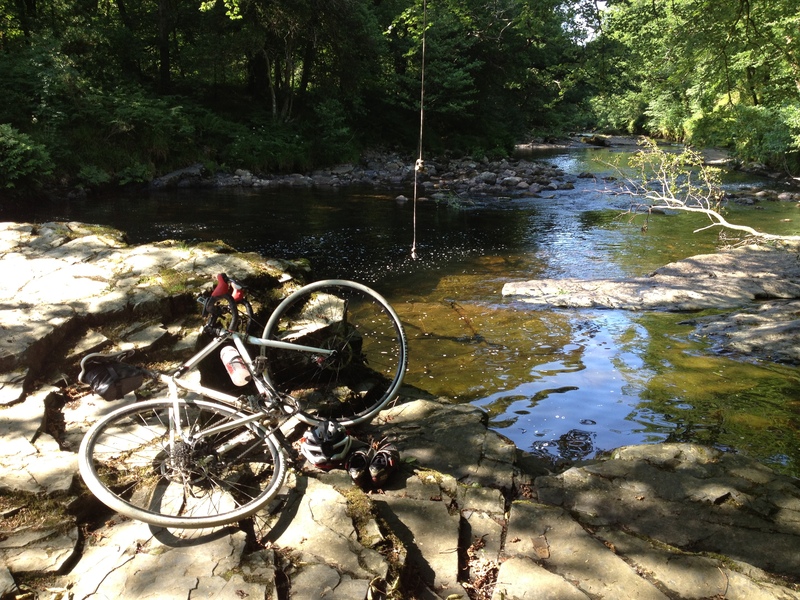 August, well I’ve nothing in particular planned, but I live near some of the best spots for swimming in the UK – the River Dart is dotted with natural plunge pools, with rope swings slung up along it’s banks. Then there’s the sea just down the road, so yep, August should be nice, particularly if the weather is anything like last year. And summer means surfing too! Actually, I tell a lie, in August I’m going to Dublin to ride one of the Bluegrass Enduro events, and I think my pal Anna Glowinksi will be joining me too – she’ll be battling it out for top place, I’ll be battling it out for last, as I’ve never done an Enduro competition before! Which brings me to September….In September, I’ll be joining Ride Across Britain, a nine day, 969 mile bike ride from one end of Britain to the other. With an average of 108 miles per day and 15,000 metres of climbing, this is going to be really, really hard and there’s no way I can do it without riding A LOT beforehand. I’m be posting details of how I’m getting on it the run up to the event, and if anyone has any pointers, I’d love to hear them. This will be the furthest I’ve ever ridden. So with my mind awash with exciting plans. What have you got in store for 2014? Is there anything else I should squeeze in? Do you find cycling helps you manage your mood too? Leave me a comment below! .Previously I’m A Finalist in Road.cc & Trek’s Competition! Would you like to vote for me?